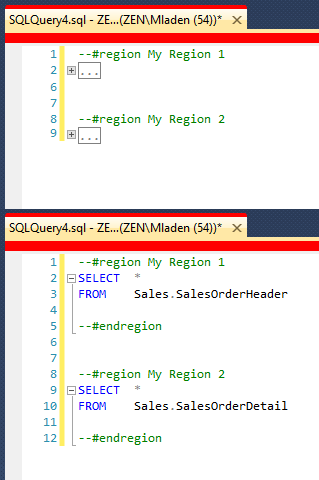 Regions behave in the same way as in Visual Studio. You can collapse them and expand them. 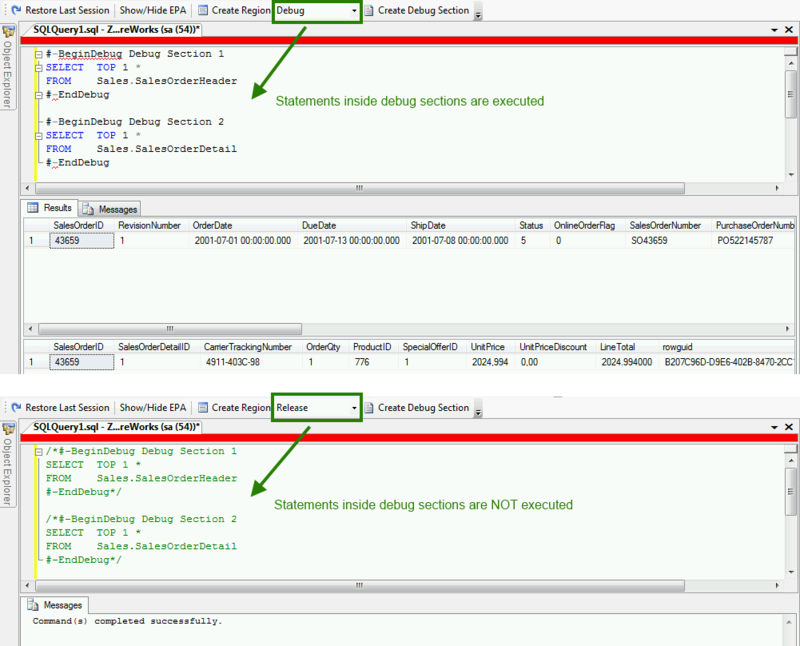 Debug sections (SSMS 2005 and SSMS 2008 (R2) only) are sections that get commented when you change your script to Release configuration. A debug section is also a collapsable region. 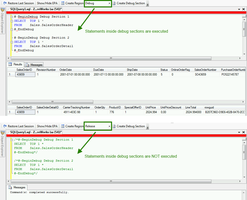 If you deploy a script in debug mode with added debug sections it will fail when run from SSMS without SSMS Tools Pack installed. You can of course comment those sections yourself by simply searching for start and end text of the debug sections.